Organ meats like hearts are some of the most underrated cuts available, notes cookbook author and "The New York Times" columnist Mark Bittman. A February 1993 article in "The Independent" supports this fact, noting that lamb heart is inexpensive, economical and easy to prepare. It is also rich in protein and essential vitamins and minerals like vitamin B-12, iron, copper, selenium, zinc and riboflavin. 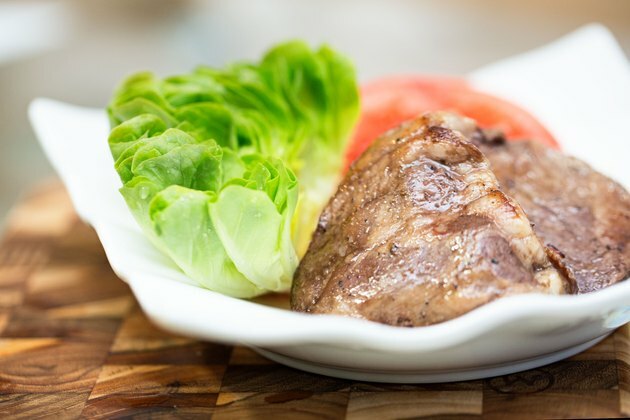 Use a low-fat method like broiling to prepare lamb heart and consume it only occasionally and in moderation, especially if you have high cholesterol or heart disease, as a 3-ounce serving of cooked lamb heart is high in saturated fat and cholesterol. 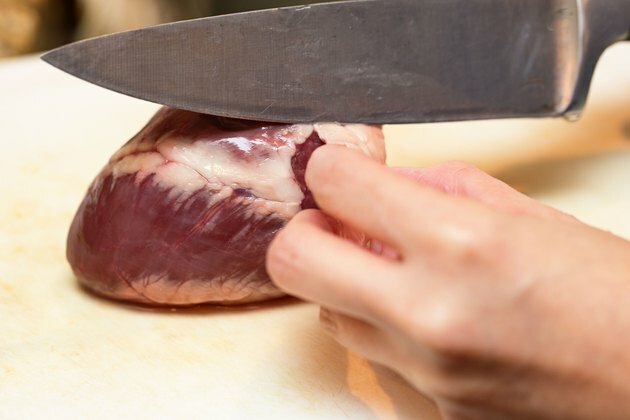 Use kitchen scissors or a sharp knife to remove as much fat and connective tissue from the surface of the lamb heart as possible. Rinse the heart and place it in a bowl of cold water mixed with a pinch of salt. Preheat the broiler. 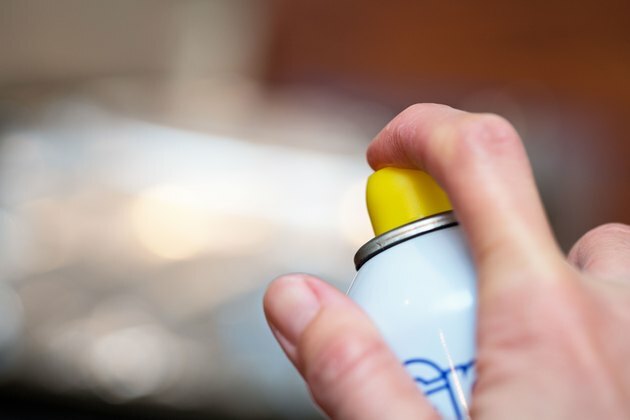 Lightly coat a broiler pan with non-stick cooking spray. 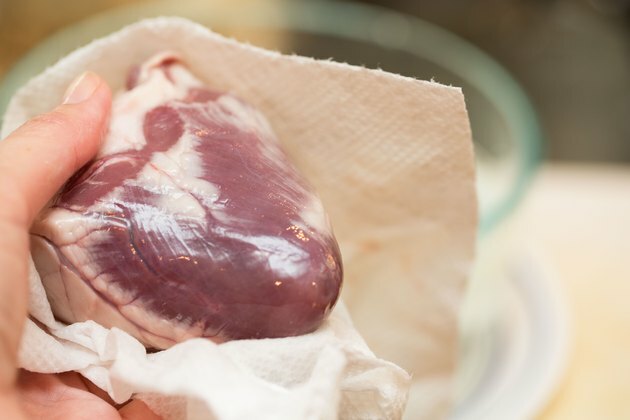 Remove the lamb heart from the salted water and gently pat it dry with paper towels. Place it on the prepared broiler pan. 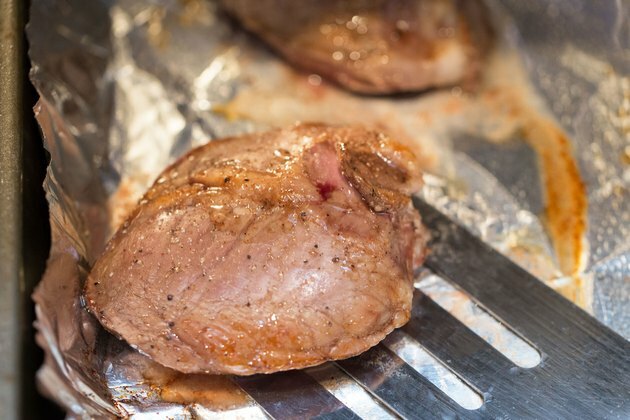 Brush the lamb heart lightly with a 50-50 mixture of olive oil and your choice of vinegar. Season it with salt and pepper. 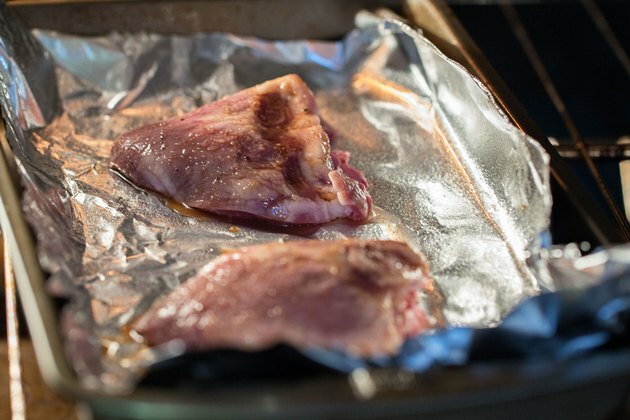 Arrange the broiler pan so that the lamb heart is 3 to 4 inches from the heating element. Broil, allowing about 3 minutes for a heart that weighs approximately 4 ounces raw. Turn the lamb heart over with a pancake turner. Baste with the oil and vinegar mixture and broil for an equal amount of time as the initial side. 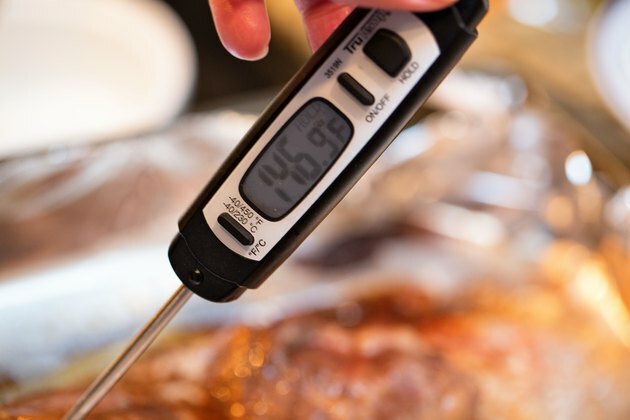 Use a meat thermometer to ensure that the lamb heart has reached an internal temperature of 145 degrees Fahrenheit. 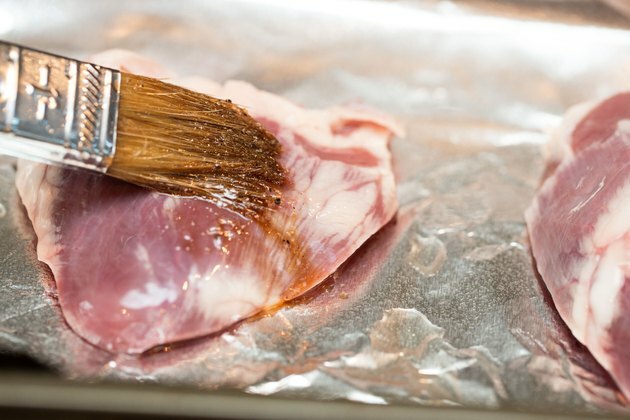 Remove the lamb heart from the broiler pan and allow it to rest for at least 3 minutes before serving. A cooked lamb heart yields one serving. If you're cooking for a group, plan on one lamb heart per person. Avoid cooking lamb heart too long, says Bittman. The meat is best served medium-rare. Does Whey Protein Cause Heart Problems?